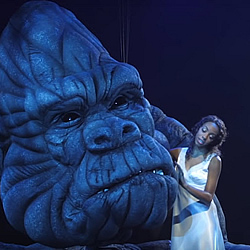 Holiday Party - The New York City Children's Holiday Party, Inc.
On Tuesday, December 4, 2018, 800 children from more than 35 New York City homeless shelters will be treated to the brand-new Broadway spectacle, King Kong. Our team of big-hearted volunteers will ensure that every child has a great time and receives special treats that include a healthy meal, educational supplies, toys and chocolate. At our first event in 2003, we served just over 300 homeless children, treating them to an afternoon that included arts and crafts, a carnival, and a stage show with professional storytellers and an inspiring performance by the Dance Theatre of Harlem. Since that first party, we have served 700 to 1,200 children each year. For the three years following our first event, NYCCHP fulfilled its mission by bringing children to a show that should be a part of every childhood: the circus. In 2005, we even took the entire big top at the Big Apple Circus. In 2009, the children were the best cheering section at the New York Knicks game in Madison Square Garden. Then we returned to the theater. In 2011, Mary Poppins had a thousand gasps from our kids as she flew over her Broadway stage; in 2012, the kids clapped along with the actors in the musical Bring it On; in 2013, they watched Spidey fly through the air in Spider-Man: Turn Off the Dark; and 2014, they met the Whos of Whoville at The Grinch Who Stole Christmas. In 2015, we got our first wish when we took 700 homeless children to see Aladdin the Musical on Broadway. 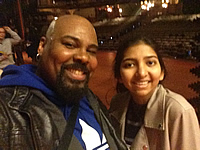 Our second wish came true when we received a shout-out from the stage by our favorite Genie, James Monroe Iglehart (pictured above). And our third wish came true when all the kids met Santa! It was a huge success, thanks to our many volunteers and sponsors — many of whom have been with us since our first party! 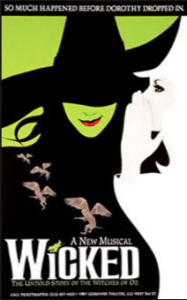 In 2016 we took 700 children to see Wicked on Broadway at the Gershwin Theatre. Our team of not-wicked-at-all volunteers ensured that every child has a great time at the show, along with dinner and gifts. In 2017, 700 chocolate-loving children were mesmerized by Willy Wonka at Charlie and the Chocolate Factory at the Lunt-Fontanne Theater. These children were then treated by Santa to a jumbo chocolate bar, backpacks, educational supplies, toys — and a golden ticket, of course! Our organization is 100% volunteer-run. We have tax-exempt status under Section 501(c)(3).